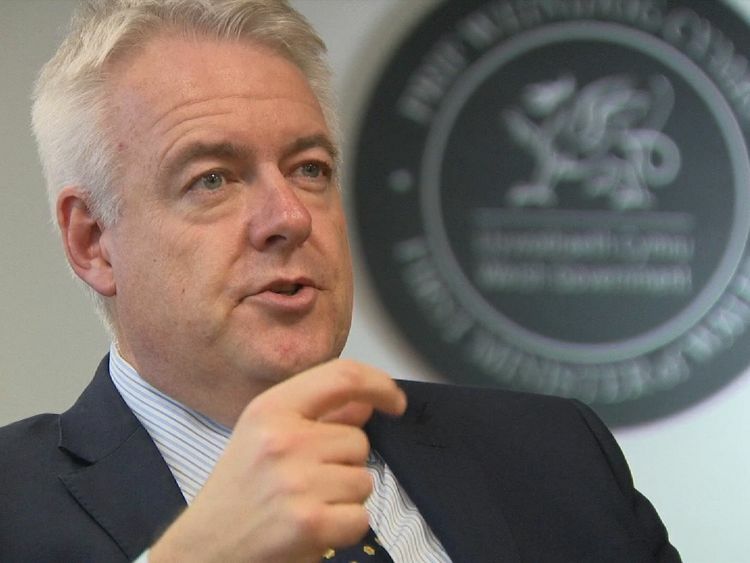 However, a spokesman for Welsh First Minister Carwyn Jones said the politician had been "removed" from his cabinet role.A Welsh Labour spokesman said: "Carl Sargeant has been suspended from party membership, and therefore the Labour whip in the National Assembly for Wales, while an investigation into allegations received takes place. "According to Mr Sargeant, he was informed by Mr Jones of the "distressing" allegations but had not been given the full details about the claims. The Alyn and Deeside assembly member said in a statement on Twitter: "I met with the First Minister today and he informed me allegations had been made about my personal conduct, which was shocking and distressing to me. "The details of the allegations have yet to be disclosed to me. "He said he had written to the general secretary of Welsh Labour asking for an "urgent independent investigation". "Given the nature of the allegations, I agreed with the First Minister that it was right that I stand aside from cabinet today," he added. "I look forward to returning to Government once my name has been cleared. "The politician, who has been representing constituents in the Welsh Assembly since 2003, became Labour's chief whip before taking on several cabinet positions.A spokesman for the First Minister said: "Following allegations, received in the last few days, about Carl Sargeant's conduct, the First Minister has removed him from the Cabinet and has asked Welsh Labour to launch a full investigation. "The suspension comes after another Labour politician, Kelvin Hopkins, was suspended over allegations received by the party.It comes as Westminster finds itself engulfed in a sexual harassment scandal, which has seen former Tory minister Sir Michael Fallon resign as Defence Secretary.